It’s here! Our online registration is now open for summer 2016! Make sure to reserve your camper’s spot today! With a new online registration system, we thought it would useful if we assisted with a few tips. First, we teamed up with a wonderful organization called CampDoc which is the leading electronic health record system for camps. We have been working with them for a user friendly registration system and record keeping. This will allow us to track and maintain your camper’s information for years to come making following summers even easier to register! Click on any of our many “Register Now” links on our webpage and you will be taken over to our personal Camp Esquagama page for CampDoc. If this is your first time within the CampDoc system then it will ask for you to create a parent account. Once your parent sign-in account is registered you will use this account for all future registrations and camper updates. It will direct you to fill out a ‘patient’ account which is your camper. After filling out their basic profile you can either register them for camp immediately, add another camper to your profile, or sign back in at a later time to complete the process. When registering for a session, only camps that your camper’s age fits in will appear. Making the process nice and easy. Our older youth have a few options between Explorer, Adventure, & Villager so make sure to check which sessions they are offered. To the right side of each session it will show how many spots are remaining as well as the dates and cost. Click to the next page when all done. Day Camp will be directed to a page asking if they would like to register for the bus service with stops in Hibbing & Virginia. After registering you will be directed to the page where you may add different coupon codes. The codes are listed above with detail on when they can be applied. All camps have the same coupons. Discount amounts differ for Day Camp. Hint: if you are going to refer-a-friend during their health profile, add the refer-a-friend discount right away so you don’t need to worry about over paying. The next page is a CampDoc specific page asking if you would like to add travel insurance to your cart. We recommend clicking the No Thank You button and moving on. The final page shows your itemized receipt. It will ask you to fill in your billing information as well as choose a payment method. You may pay the full balance right away, choose another amount at this time, or pay the minimum and set-up a payment plan over the next few months. NO DEPOSIT IS REQUIRED! Register for camp now and pay at a later time! 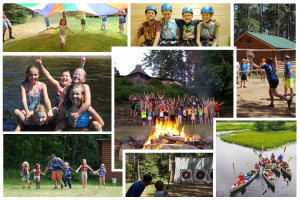 Just like that… You are registered for camp!!! Now you may proceed to filling out their health profile, registering another camper, or save everything for a later time. Click on the campers edit button to add a photo as well! If you have any questions, please call us at (218)-865-6589. Leave us a comment and let us know what you think of the new registration system. Thank you and have a wonderful day!